Get to know the 71-year old actor John Noble, before he got famous (e.g. Fringe, The Lord of the Rings, 24). IMDB reports Filmland (TV Series documentary) was John Noble's first TV appearance in 2003. In 1988 he starred as Dr. Richards in his first movie The Dreaming . His home town is Port Pirie, South Australia, Australia. He is of Australian ethnicity. 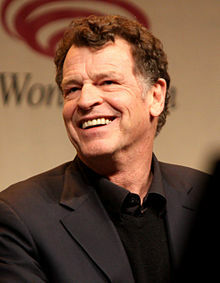 John Noble was born on August 20, 1948 on a Friday. LOTR: The Return of the King - "Abandon your posts! Flee, flee for your lives!" Share your real life experiences with John Noble here and rate your meeting! Correct our wiki/bio - is he not gay or straight or of different heritage? Let us know!